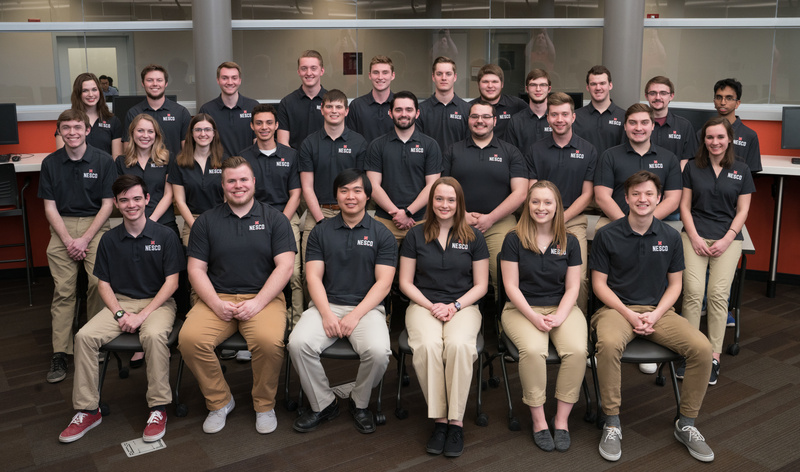 Nebraska Engineering Student Council at Omaha (NESCO) is the student council for the engineering students on the Omaha campus. To serve as a voice for the students and faculty of the College of Engineering, to increase awareness of engineering, and to provide professional advancement to the University of Nebraska's Engineering student body. The formal application period for both incoming freshman and upperclassmen begins on September 2nd, 2018 and ends September 15, 2018. Any inquires about NESCO applications can be sent to nesco@unl.edu. Applications include two phases: the first is an online application, and if approved, the second phase is a brief interview. What do I get from becoming a General Board Member? You will develop leadership skills, vote on various matters, join one of four committees offered, and make a difference in the College of Engineering! NESCO meetings are open to the entire undergraduate engineering student body. Come and have your voice heard during discussions and open forum. Meetings are every other Tuesday at 6 P.M. and last about one hour.